There is currently a very serious privacy bug on iOS (iPhone and iPad) devices. This bug allows anyone to listen or watch video from your phone without you accepting the call. Right now the only fix is to disable FaceTime until Apple addresses this bug. To disable FaceTime, go into Settings > FaceTime and toggle the switch to OFF until this is fixed. 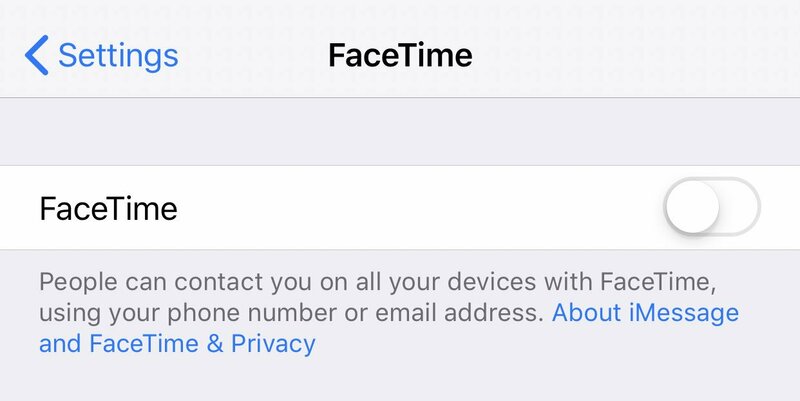 If you need to use FaceTime in the meantime, enable it for specific calls, then immediately disable it when you’re finished with it. If you have any questions, please give us a call or email support@nexa1.com.